My husband would define me as an omnivore and a makeup lover; I could never go fully vegan, but I can certainly try to be more thoughtful when I purchase my wares for Bagful. I love animals, especially cats (bonafide CCL) and I would never want them to suffer for the beauty of others. Loose powders and potions frightened me in the past until I happened upon Benefit Show Offs about nine years ago. Heck, that was a long time ago! And then, Benefit took them off of their counters. Then, I gave Bare Escentuals loose mineral shadows a go, but couldn't shake the duochrome spell cast upon me all those years ago. With Femme Fatale, I think I have found what I've been longing for all these years. What's better than 39 shades of eye colour to choose from? Try price points which start at $1.10 AUS for a sample size or $5.00 AUS for a full size jar. 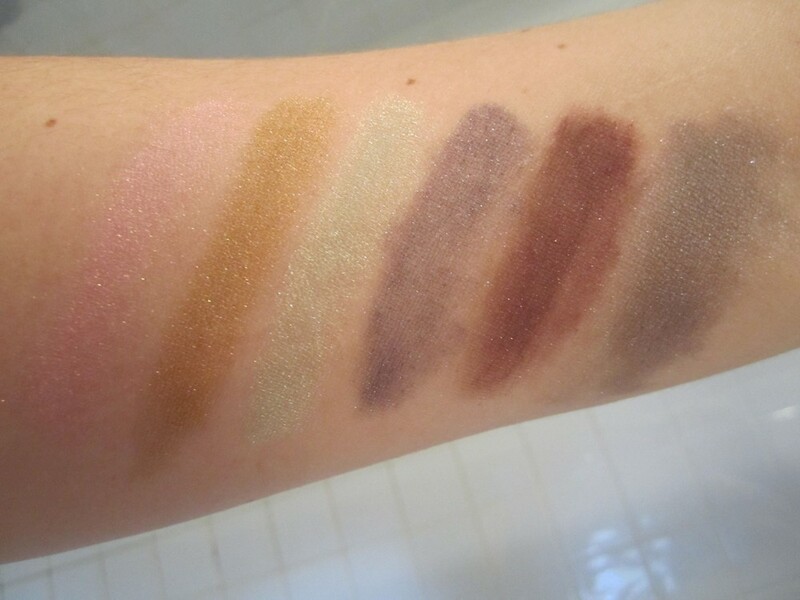 When I swatched the colours last week I used a dry q-tip for application purposes. In hindsight, I should have dampened the end or just used my trusty index finger. I apologise for the lack of vibrancy here. When working with loose powders, keep in mind they can be a bit unwieldy; especially when extracting product from miniature zip-lock baggies. The swatches above are sad, at best. Today I re-swatched all of the colours in order for you to see how much these colours shine. In the look seen below I used four out of the six colours. 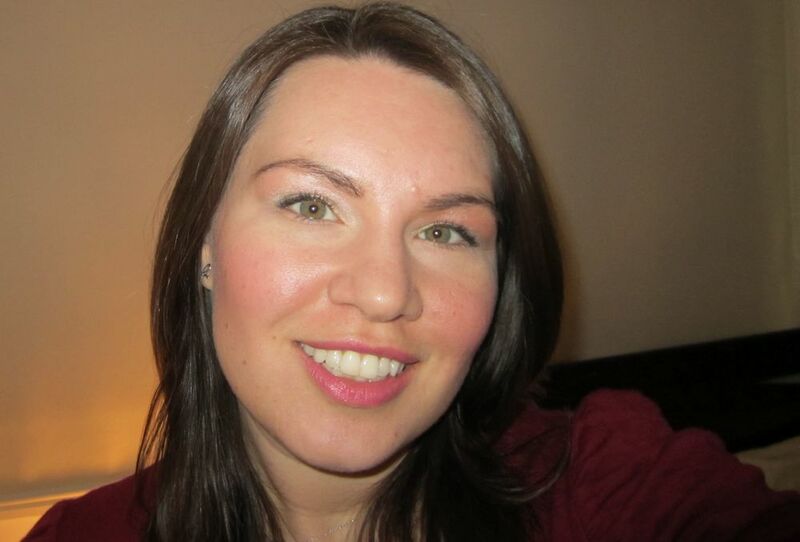 For my eyes I started with Inglot shade 397 (peachy cream) and applied it all over. Then I blended Spark of Life (light mint green) on my lower lid, dabbed a hint of Elitist (gold) on the inner half of my lower lid and added a bit of smokiness with the help of Polymorph (shimmery gray). But where was the fourth colour used? Ah, my lips! I layered Divinity (light pink) over Revlon's ColorBurst Lip Butter in Sweet Tart. As for my final thoughts, for as messy as loose powders can get, the colour pay off is intense. Make sure you use a really good eye base and also do your eyes first. I stupidly blinked when I was putting on my mascara after just sweeping away the remnants of fall out from painting my eyes. Growls were uttered and I may've even dropped an "oh, shoot." A doe of a company with so much potential. I can't wait to purchase the full size jars of shadow and the six blush shades they also have for sale at $8.00 a pop! 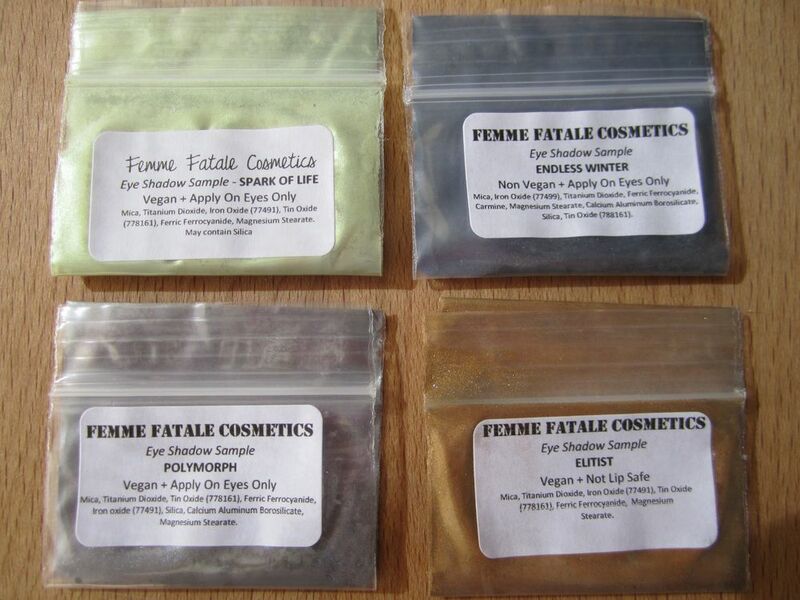 *Femme Fatale provided me with free samples in exchange for this review. Thoughts and ramblings written here are completely my own.